I prefer to play many PC games on my TV with a controller. Some games, like Far Cry New Dawn, just feel better to me when played using a gamepad on my big TV. 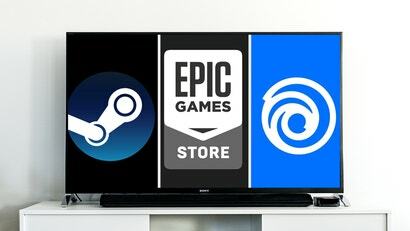 Yet, while we now have more stores on PC, with Epic Game Store, Steam, GOG Galaxy, Uplay and others, many of these stores are doing an awful job supporting TVs and gamepads. Valve has been slowly improving Big Picture mode over the years and in its current state the feature is actually really useful. 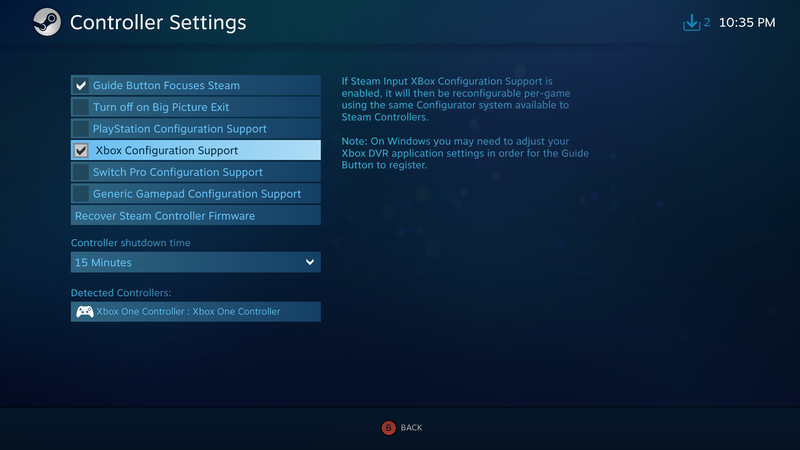 Steam Big Picture fully supports controller inputs and you can even customise the interface to match your controller of choice, which is a great touch. Even more impressive is that Steam Big Picture lets you buy games using a controller. In all my testing no other digital storefront allowed me to purchase, pre-order or download a game using my gamepad. Steam even lets you open Big Picture mode from standard Steam with a simple controller press. It’s convenient, easy and makes playing games on my TV a breeze. My only major gripe with Steam Big Picture mode is that some games don’t play nice with it. Fallout 4 won’t launch unless I get up and use my mouse to click on the prompt that appears when starting the game. But these are minor issues compared to how fully featured Big Picture is and how well it works. 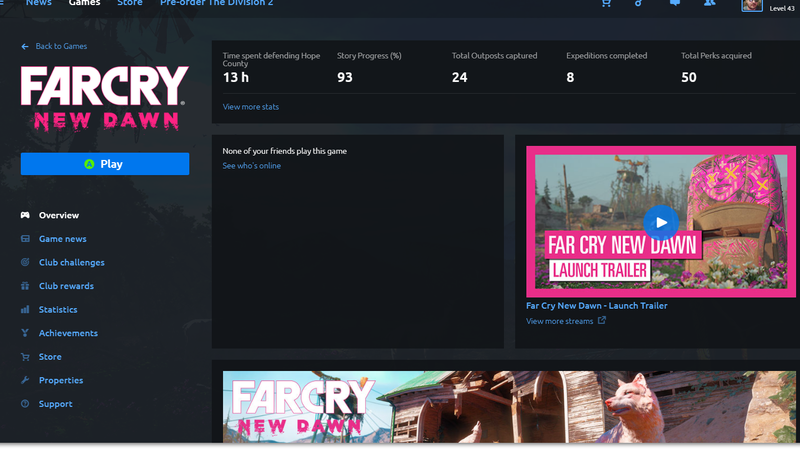 Technically, Uplay is better than the other stores, but when compared to Steam it feels like it has a ton of catching up to do. You can’t control or access any Uplay menus while using a controller. What is weird is that once you use a mouse to click on a game, the game’s main page actually shows a controller prompt which will start the game. That’s literally all you can do though. Once in the game, players can’t access the Uplay overlay or really interact with Uplay in any way. When exiting the game you can actually use the controller to close the pop-up that appears after closing a game, such as a message telling players that Watch Dogs is on sale. But once you exit that pop-up you can’t do anything except star the game. I have no idea why Ubisoft even lets you do these minor things using a gamepad, but at least there is some support for controllers. Uplay also doesn’t support a TV mode of any kind. The only reason I’m including this app above the others is that it does have a basic full-screen mode which looks ok on a TV. But that’s all this launcher has going for it. 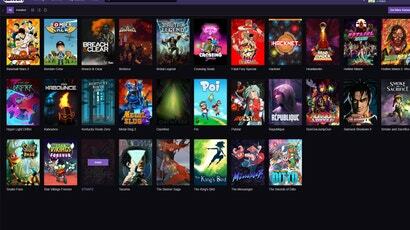 The Twitch app has zero support for gamepads. In a game, you can’t access any overlays and out of a game, you can’t do anything. The rest of the launchers I tried all failed to offer any basic support for TV modes or controllers. I was honestly surprised by how universally terrible all of these launchers are for players using a controller. None of them let me buy a game, access an overlay, start a game or open notifications using my controller. I tried updating them. I dug through settings looking for options to turn on. Nothing. The weird thing is that all of these stores have games that support controllers. It seems logical to have some basic controller support for players who are wanting to play on their TV or who prefer to use a gamepad when playing. When I decided to compare all of these stores I was ready to find some lacking features and others doing better. Instead what I found was frustrating. Nearly every digital launcher currently has zero support for using their menus or stores with a gamepad. The clear winner is Steam, which has a surprisingly functional TV mode with full controller support. For some, this will seem trivial or unimportant, but as more players of different skill and experience levels jump into gaming and download these launchers they are going to expect some basic support for the input methods they are comfortable with. They shouldn’t be expected to download some third-party software and set up some program to let them move their cursor through menus in a store using a controller. These stores also should see this as an opportunity. Steam has long been the king and while Epic has chipped away a bit at that wall, Steam still has features that the others are lacking. If Discord or Epic or Uplay want to grow and gain bigger market shares, adding more accessibility and useful features would help. Currently, however, if you plan on playing a PC game on your TV with a controller I would suggest you use Steam. 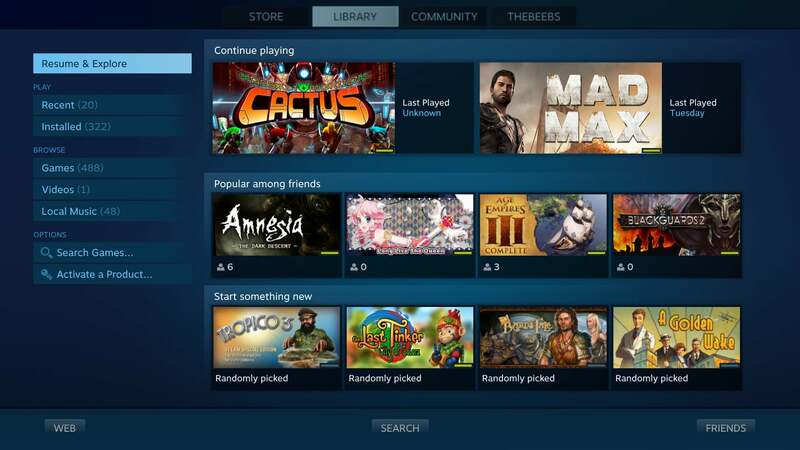 It’s easy, works well and has many of the features found in normal desktop Steam. Ahh the old PC to TV dilemma. If you are serious about pc gaming on a TV (with a controller no less) then I would recommend something like a Microsoft Media All in One keyboard. It's wireless has good keys and a trackpad. Personally I left my PC connected to my gaming monitors and just play other games on a console (games like assassins creed or forza). Good gaming monitors beat TVs any day. For me the best thing has been the controller companion app from steam. From memory it cost a few bucks but well worth it. The Steam Controller sort of bridges the gap but lots of games just expect keyboard input at times even if they support gamepads. All of the solutions are imperfect but it's possible to find a kind of balance in some cases. Also sometimes games just flip out with the Steam Controller swapping between controller and kB/m modes, or don't allow both modes at once. For me I just gave up - balancing a keyboard and mouse was either annoying for my wrists or required a silly desk-like setup at which point I may as well just sit at my desk. I can speak to this. I use a small adjustable laptop table on the couch with a wireless keyboard and mouse. It's near essential for something like Total wAR. Things can be spotty with a PS4 controller and surround sound sometimes. PS4 controller always works with steam, and a lot of Gog games suport it too through ds4shock, but when I played subnautica on the Epic store, the view would spin around. Playing Forza Horizon and Gears of War 4 with a PS4 controller in 4k is great, though. As for sound, Quantum break doesn't detect my surround sound. But everything else, other than some indie titles, does. Even Dead Space. You can even get Thief Gold running with 5.1.